Tuesday saw representatives of the National Wine Centre and a special evaluation committee announce the best Czech wine of 2019. The winner is the Rulandské bílé, a special Czech form of Pinot Blanc from Castle winery Bzenec, specifically the late harvest collection 1508 from 2017. The winning vintage was selected out of a pool of 400 finalists. Photo: ČTK/Václav Šálek Winemakers administering the wine colony around the south Moravian castle of Bzenec can proudly call their 2017 vintage as the best Czech wine of 2019. At least according to a special panel of experts that make up the jury of the prestigious “Salon vín” competition, which boasts a 19-year-long tradition and a unique, three-round assessment process. More than 2000 Czech and Moravian wines took part in this year’s contest, with 400 making it into the final. Speaking to the online server denik.cz, Bořek Svoboda, the director of the winery responsible for the winning vintage used the following words to describe it. 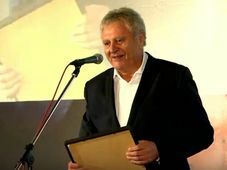 It is not the first time that Mr. Svoboda’s winery has won the award. This was its sixth victory in total, with four attributed to vintages originating from the same vineyard of Klínky. No wonder therefore that the Bzenec winemakers welcomed the victory as a “golden double hatrick”. Pavel Krška, the head of the National Wine Centre, which had its experts among the competition’s panel of judges, told denik.cz that it had been a close call, with just a tenth of a percentage point separating the winner from second place. Members of the public, who are hoping to get a taste, can look forward to the official award ceremony, which will take place on February 1st 2019 in the south Moravian town of Valtice. The event will offer wine tasting opportunities of the top 100 Czech wines, including Castle winery Bzenec’s Rulandské bílé. 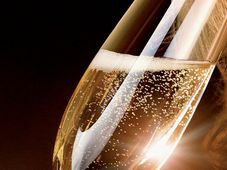 Bohemia Sekt, the Czech producer of bubbly that should lubricate the festive season, are preparing for the big test.